Moving can be nerve-racking, but that’s where planning ahead comes in to save the day – and you from ripping your hair out. Here are some seemingly obvious things you are almost bound to forget in the process or just after. If you go through your current home and thoroughly clear out anything you don’t seem to have a use for anymore, you have already made the move itself much easier. This includes anything from clothes you haven’t worn in at least two years, half-empty ketchup bottles, magazines you have only looked through once…and the purge list goes on. Label your box before you close it and forget what’s inside, the way you take out your phone to see the time and forget to actually look at the time – it happens to the best of us. Label every box with the name of the room in which it belongs and then write down exactly what it contains. You might not remember if you put your iron in the bathroom box or the kitchen one. The first pack the items you know you are not going to need right away, like books or holiday decorations. Don’t forget to prepare a bag or suitcase for everything that you are going to use as soon as you move. This includes things like your toothbrush, a change of clothes and towels. It’s also not a bad idea to have a sharp knife within arms reach for when you start opening boxes. Don’t put important items just anywhere. Make sure that all your documents, jewelry, and other valuables are safe and sound but accessible to you and only to you. Find a sturdy, compact container especially for them and don’t let them get lost in the mess. Before you take off for your new place, let your moving company, or your really helpful friends, know of any special instructions. 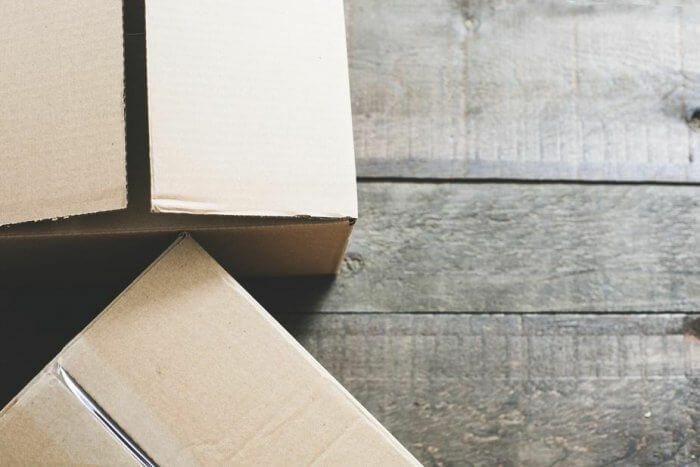 There might be some extremely fragile box with which they should take special care, or there might be a specific order in which you want the boxes to be stacked so you have the access you need. Whatever it is, do it beforehand because the movers might get to your home before you do, and once they start unloading, it will be too late. It would be nice if moving was done as soon as you walked through your new entryway, but there are many things you still need to deal with. Start by changing the locks on all the outside doors as soon as possible. Besides the previous owners or realtors who had access to your home, who knows who else did. Hiring a locksmith to install new locks to which only you have the keys, will give you more peace of mind. Also, don’t forget to make an extra set of keys which you can give to a friend in case you get locked out or for other emergencies. Wherever you are going, you are probably going to need to call utility service providers to help you set up everything. While not all utilities are going to be urgent, be careful not to let yourself put things off for weeks just because there is so much to do. Go small and take care of things one by one. Perhaps you could start with antenna installations. Get some professionals in to mount your television properly while you focus on other details that you really should do by yourself, like unpacking the bedroom. Remember to check if all the light bulbs in your new home are functional – or if there are any at all. Get some on time, before it gets dark and you have to search for an open store in your new neighborhood, mid-move. It’s likely that you will get the keys to your new home before moving day. In that case, it would be ideal to scrub everything before your furniture and belongings take up all the space. Even though it may look like your previous tenants cleaned up behind themselves, it wouldn’t be a bad idea to do it yourself, just in case. Purchase all new cleaning supplies and don’t drag those nearly empty bottles from your old apartment with you for (almost) nothing. When you are picking up supplies, consider what kind of surfaces you now have, like wood or marble, and whether they need any special cleaning products. Finally, change your address officially. As soon as you can, inform your bank, and anyone else, of your new address. Don’t forget to let your grandparents know too, in case they still send you real mail. Just remember that moving doesn’t only involve that one day. If you prepare on time and plan strategically, the technical part of your move doesn’t have to be stressful at all.